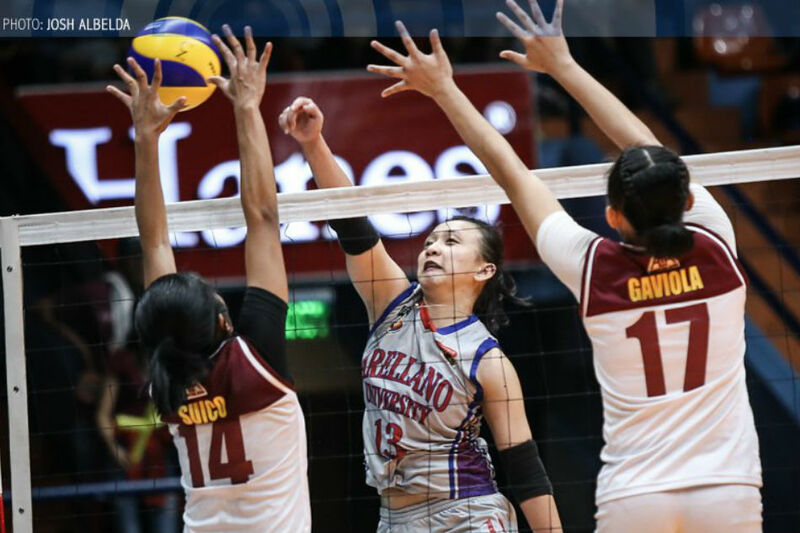 MANILA, Philippines – University of Perpetual Help seeks a golden treble, while Arellano University guns for a three-peat when they collide one last time in the NCAA Season 94 women's volleyball tournament on Tuesday at the FilOil Flying V Centre in San Juan. 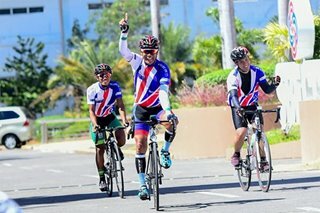 Perpetual Help has already secured the crowns in the men's and juniors' divisions, and the Lady Altas will try to add the women's title to that collection. "We're looking at history unfolding, and it's really up to us to complete it," said Perpetual Help coach Macky Cariño. If the Lady Altas get the job done, Perpetual will join former NCAA member Ateneo de Manila University and San Sebastian College as the only schools to have pulled off the triple crown in volleyball. Ateneo did it in 1984, while San Sebastian did it six times -- in 1984, 1993, 1994, 1995, 1996 and 2002. It will also end Perpetual Help's title drought since completing a 3-peat in the women's division five years ago. The school came oh-so-close to achieving the feat last Friday, after its men's team sank De La Salle-College of St. Benilde, and its juniors team dismissed Colegio de San Juan de Letran. The Lady Altas, already up 1-0 in their best-of-3 series against Arellano, forced a fifth and deciding against the Lady Chiefs in Game 2. However, the Lady Chiefs would not be denied, and recovered from a fourth-set meltdown to claim a 23-25, 25-9, 25-18, 22-25, 15-12 win. The deciding game is set for 4 p.m. The Lady Altas claimed the series opener, 21-25, 25-17, 25-21, 25-20, last February 1. Arellano is aiming for a third straight title and fourth overall in the last five seasons. Reigning MVP Nicole Ebuen keyed AU’s Game Two win, leading the attack with 18 hits and helping in defense with 18 digs. Princess Bello, Carla Donato and Regine Arocha were also instrumental as they contributed 18, 13 and 12 points, respectively, to help Arellano knot the series at one game apiece and forge a game for all the marbles. For Perpetual Help, it is expected to rely anew on Cindy Imbo, who was the hero in Game 1 and was also the player behind its mighty fourth set fightback before succumbing in the final set and finishing with a team-best 18 points.